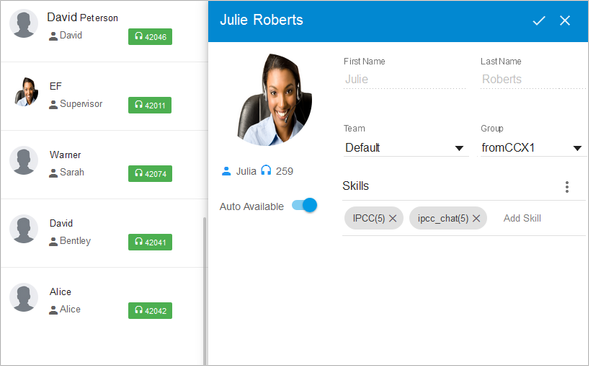 Reskill agents and CSQs with drag n drop controls. 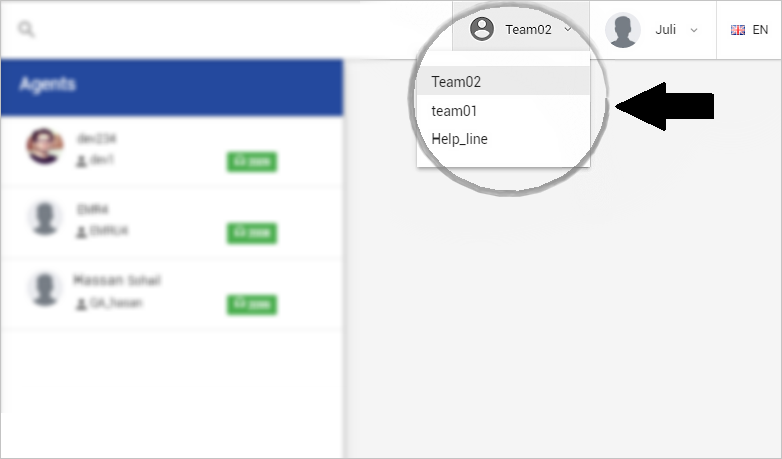 Give granular permissions to supervisors to manage only certain agents teams, skills, queues, scripts, and applications. Workspaces allow you to manage multiple tenants/sites of your business where each supervisor or tenant manager works in its own workspace. 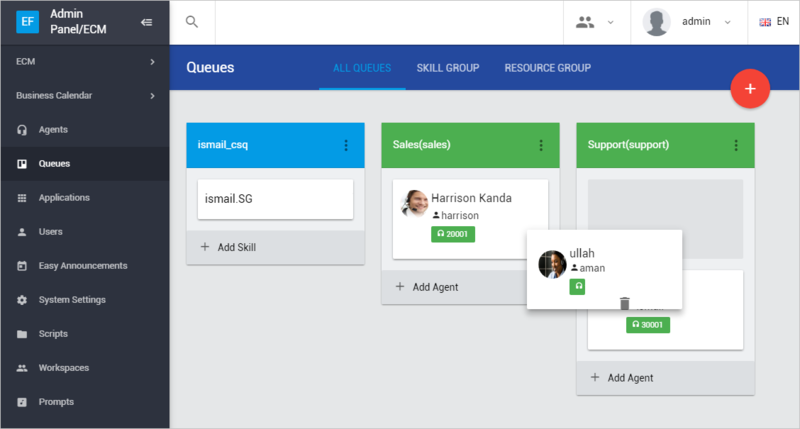 Agent reskilling is simplified with a drag-n-drop interface. Supervisors can reskill agents by moving them amongst CSQs. Skill changes are immediately applied in near real time. Skill-based queues are represented in blue and agent-based queues in green for the quick, visual aid. Supervisors can find / view agents based on their profile pictures and apply profile changes to them such as change agent group, skills and competence level using a slider per skill. 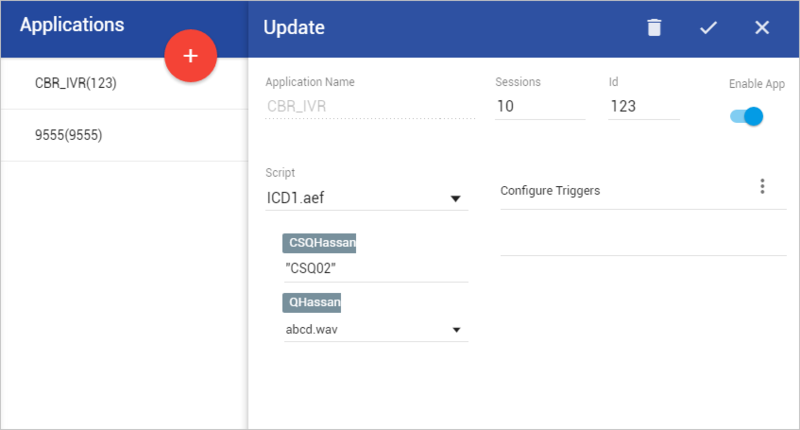 Create new applications and change script variables, such as control switches or triggers. Edit announcements and calendars/ opening hours of the call center. Supervisor Workspaces allow you to manage multiple tenants/sites of your business where each supervisor or tenant manager works in its own workspace. The independent workspace management includes management of agents, CSQs, scripts, and applications of the supervisor's team or tenant. The application can also be made available as a supervisor gadget embedded in Cisco Finesse desktop so that supervisors can continue using Finesse for other activities while at the same time managing agent teams. For machine specifications, see Hardware Sizing sheet. Database MS SQL Server 2014/2016 Standard or Enterprise edition. To support HA, an SQL Server fail over cluster is required to be set up. For a non-HA deployment, the application can also work with MySQL. The productized version of Supervisor Tools is currently available for CCX only. We aim to make these available for CCE soon as well. Individual features are already available for CCE – please contact us to know more! Get a single license with both of the two modules of Supervisor Tools in just $150 per concurrent agent.